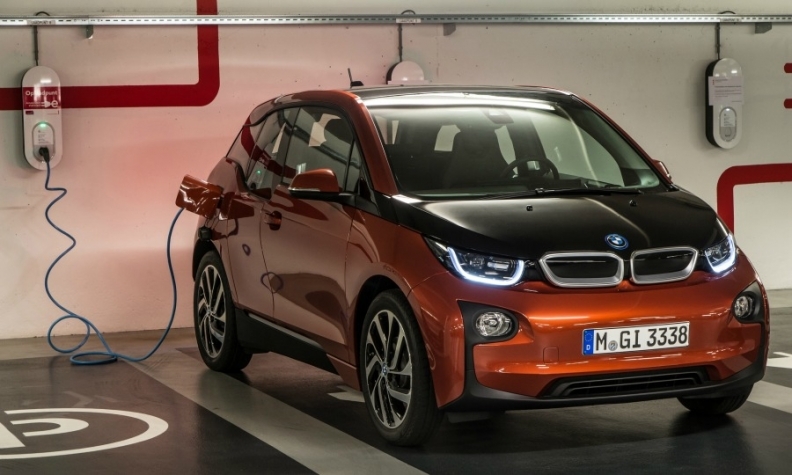 Sales of the i3 are going ''fantastically well,'' say dealers in Germany. MUNICH -- BMW i3 buyers face a six-month wait to receive the electric car because of high demand. Sales of the battery powered i3 compact model started in Europe in November. Sales will begin in the United States in May. BMW sales chief, Ian Robertson, says the company has received about 11,000 orders globally for the i3. In the United States, BMW has already taken 1,200 orders for the car, Robertson said. The car will go on sale in Asian markets including China and Japan by the middle of the year. About 80 percent of i3 sales were to customers from other brands or to people who hadn't owned cars previously, Robertson told Automobilwoche, a sister publication of Automotive News Europe. Burkhard Weller, from the German dealership Wellergruppe said i3 sales are better than expected. He said he had sold 30 of the cars at his Hamburg showroom since the start of sales on November 16. "The i3 is going fantastically well,'' Werner Entenmann from another German dealership, Autohaus Entenmann, in Esslingen, told Automobilwoche, adding that his three test vehicles were completely booked out. In October, BMW Chief Financial Officer Friedrich Eichiner said strong demand for the car could lead the automaker to increase production in Leipzig, Germany, where i3 output this year is likely to top 10,000 vehicles. The next model from the i subbrand is the i8 plug-in hybrid supercar, which will arrive in European showrooms in the spring. On Tuesday, BMW production chief, Harald Krueger, said the automaker will not add a third model to the i range until it has a better idea of demand. BMW has trademarked the series through to number i9, hinting at the extent of its ambition, but Krueger said it currently has no plans to add to the lineup.